​​Before allowing anyone to repair your damaged home, verify his or her credentials. 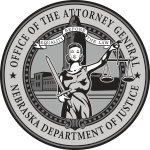 Check with the Nebraska Department of Labor to find out whether your contractor is properly registered. You can search their website here or call 402-471-2239. Check with city officials to find out whether contractors must be licensed to perform specific work in your area. Get at least three written estimates and make sure each contractor bids on exactly the same work. Talk with your neighbors about what they are paying for similar work. If possible, call previous clients. Verify all claims made about insurance coverage with your insurance company. If a contractor tells you certain work is covered by your insurance, call your insurance company to confirm. Get a written estimate and sign a written contract. Make sure it includes a description of the work, the materials included, when the work will be finished, the price, and the contractor’s contact information. Read all contracts and make sure all the blanks are filled in before you sign. Keep a copy of the contract in a safe place. Do not agree to a large down payment. Be wary of contractors who ask you to pay them in cash – even for a deposit. If possible, write down the contractor’s vehicle information (make, model, and license plate number) and their driver's license number. You have the right to cancel a contract within three days if you signed it at your home or at a contractor’s temporary location, like a convention center or restaurant.